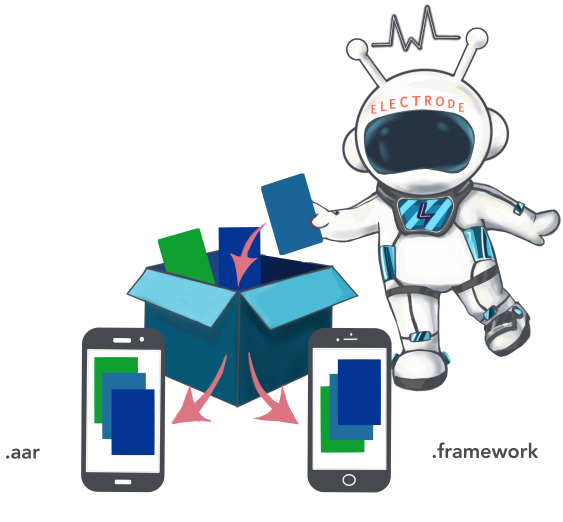 Electrode Native is a mobile platform that simplifies development and streamlines the integration of React Native components into existing mobile applications. Electrode Native requires minimal changes to the existing mobile code base and infrastructure. Using Electrode Native, you can leverage React Native potential in your mobile application. Just select the features and components you want to add to your mobile application and Electrode Native will package them for you—in a single library that contains everything you need—making it easy to integrate into your mobile application without altering its code structure. Electrode Native ships with code generators—to let you focus on what matters. Just describe interactions using a Swagger schema, and Electrode Native will generate the boilerplate and client code and leave just the implementation to you. Generated code is also type-safe—so native developers will feel right at home and can leverage compile time checks. Also, if you're already using native modules—there's no need to throw them away, Electrode Native offers support to reuse them. Relax knowing that all native dependency versions used by the React Native components as part of your mobile application, will be compatible. Electrode Native offers a built-in dependency version control system—allowing you to control the version of native dependencies that your React Native components should be aligned to—while it guarantees that no React Native component, using a non-compatible native dependency, is included your mobile application. Package multiple React Native applications together, in a single Container along with their native dependencies and assets. The Container is a library, that you can add to an iOS or Android mobile application to access the React Native applications stored within. 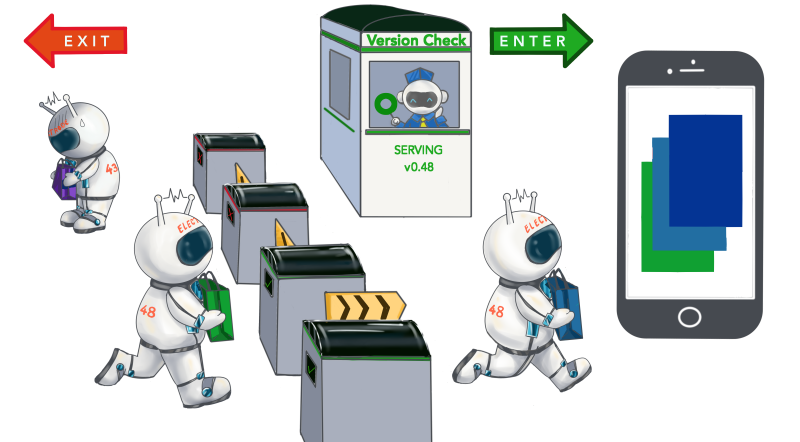 The gatekeeper to your mobile application. The cauldron tracks versions, keeps history, and is in charge of running final compatibility checks before a React Native application is included in your mobile app. Launch your React Native application on its own or along with other apps in an Android or iOS emulator or device. Useful during development of your React Native application to see the changes, debug, and test—before shipping it. Electrode is maintained by the core team with help of our contributors. Built with ♡ by @WalmartLabs, Electrode is maintained by the core team with help of our contributors. Open Sourced Under Apache-2.0 license.